Need a new weeknight dinner? This tasty pasta is ready in less than 30 minutes and is full of cheesy, beefy goodness! It's my family's and my favorite! Today's recipe is family friendly, packed full of green, leafy kale and oh, so delicious! Plus, my bloggy friends are back for our recipe challenge! Woo-hoo! That means you get this wonderful pasta recipe, plus 8 more from my friends when you scroll down a little! Remember some of our past challenges? You can find the chocolate recipes here, the apple recipes here, and the no bake dessert recipes here! 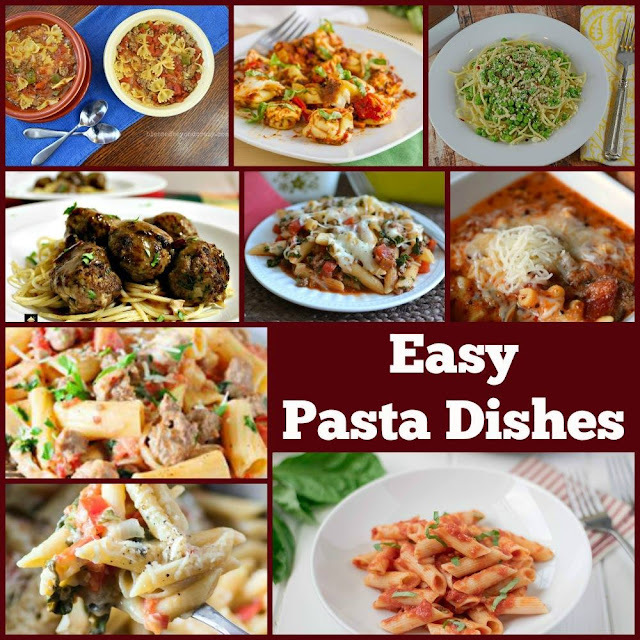 They are all quite amazing and I hope you stop by and show their recipes some love! We had a super busy weekend this past weekend! My daughter Ella celebrated her 10th birthday on Sunday, so we decided instead of a big birthday party this year, we'd take her to stay at a hotel and hit up Nickelodeon Universe at the Mall of America! She chose one friend to come with, and they had a blast hanging out in the ride lines together, while my boyfriend chatted and relaxed on the benches nearby! 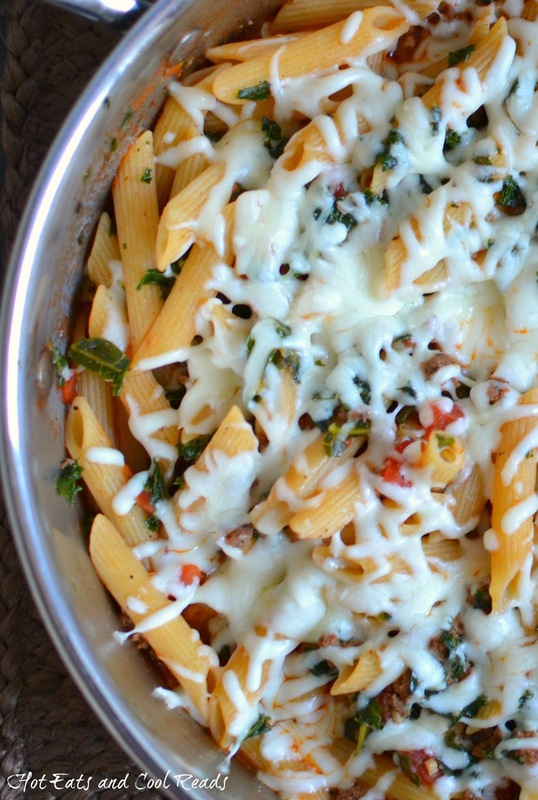 When weekends are busy, recipes like this penne are great to whip up after you get home for a quick dinner, and leftovers for work lunch the next day. The red sauce has a unique flavor from the beef broth and Worcestershire sauce, and the tomatoes and kale bring it all together! I topped it of with a handful of delicious cheese! Cheese makes everything better, right? Now, time to check out my blogger friends recipes below! After checking out this post, you have no shortage of dinner recipes to choose from! Add them to your menu plan, and let us know what you think! Cook penne pasta according to package directions and drain. Do not rinse. Meanwhile, in a large skillet add ground beef, garlic, onion, salt and pepper. Brown ground beef until no longer pink. Add the tomatoes, beef broth, tomato paste, Italian seasoning and Worcestershire sauce and simmer over medium heat for 15 minutes until sauce thickens slightly. Rinse kale in a strainer with warm water, squeeze to drain, then add to the skillet along with the cooked pasta. Stir to combine and add additional salt or pepper if needed. Sprinkle mozzarella cheese evenly on top and cover the skillet to melt cheese. Remove from heat and serve. If you like this post, follow the Hot Eats and Cool Reads board on Pinterest here! 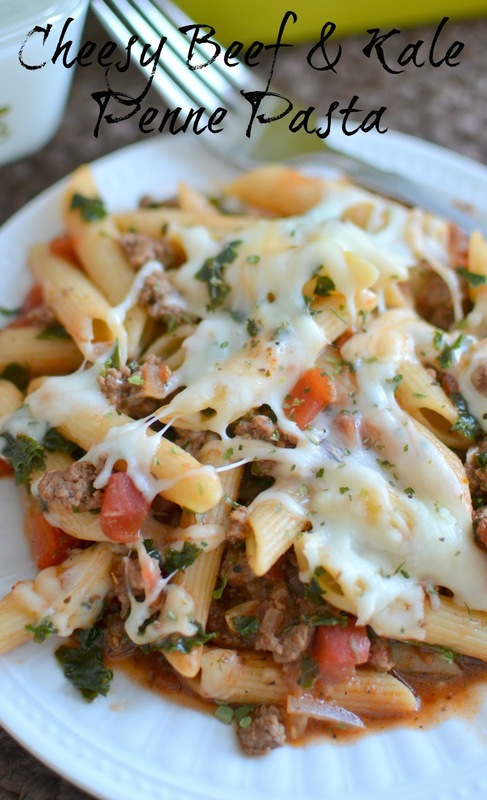 This is perfect comfort food that I can't wait to make! All that cheesy goodness - wow! Oh my that looks very yummy! 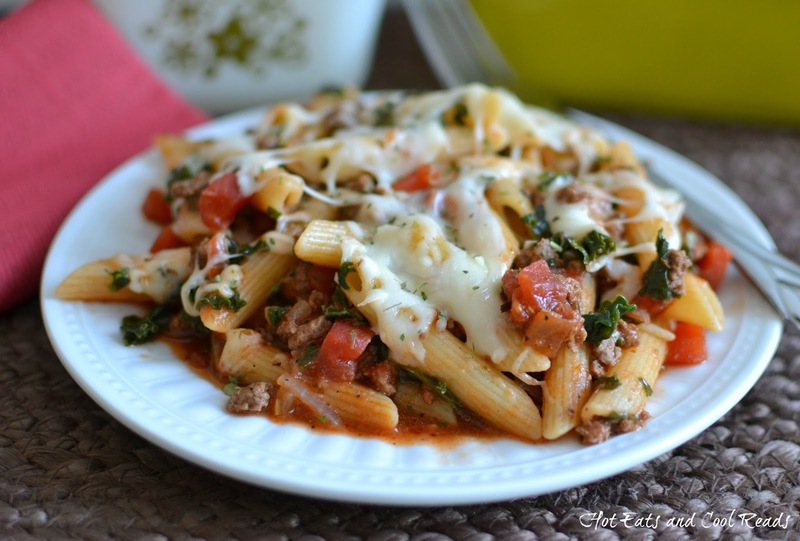 Hearty and delicious plus easy to make...WINNER!!! This is my kind of weeknight and dinner would making amazing leftovers. I love hw easy this recipe is. Looks delish! Wow, great combination of ingredients. I love this! 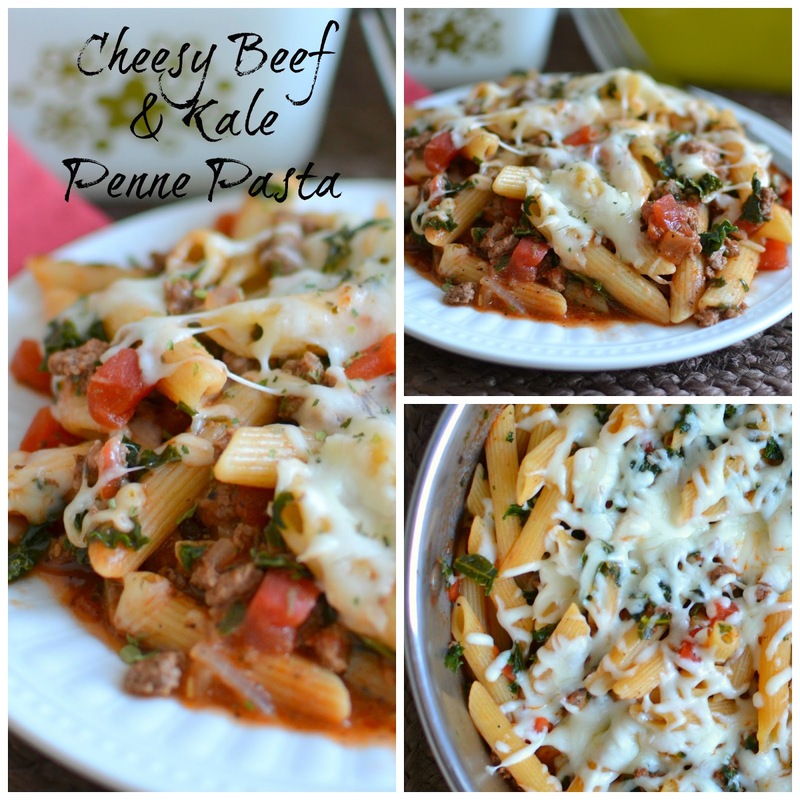 Love that this pasta dish incorporates kale. Looks delicious! This is a very informative blog on the details about restaurants, boo recipes and travel. It has got very informative and different information.